HA NOI (VNS) — Viet Nam is expected to host the 31st Southeast Asian (SEA) Games in 2021 pending the Prime Minister's approval. The Tuoi Tre (Youth) online newspaper reported yesterday that the Ministry of Culture, Sports and Tourism is working out a document seeking the permission from Prime Minister Nguyen Tan Dung to hosst the region's biggest sports event, which is organised every two years. Viet Nam first hosted the SEA Games, organized under the auspices of the Southeast Asian Games Federation (SEAGF), in 2003. Chris Chan of the SEAGF Sport & Rules Committee has sent a letter on SEA Games 2021 to Viet Nam's Minister of Culture, Sports and Tourism Hoang Anh Tuan, the report said. Chan said that according to the SEAGF's Charter, ASEAN members will take turns to host the Games. At a recent meeting in Singapore, the committee agreed that Malaysia would be the hosts in 2017, followed by Brunei in 2019 and then Viet Nam. "If the PM agrees with the ministry's proposal, the Viet Nam Olympics Committee will make its confirmation to SEAGF in the next meeting on June 4 in Singapore. 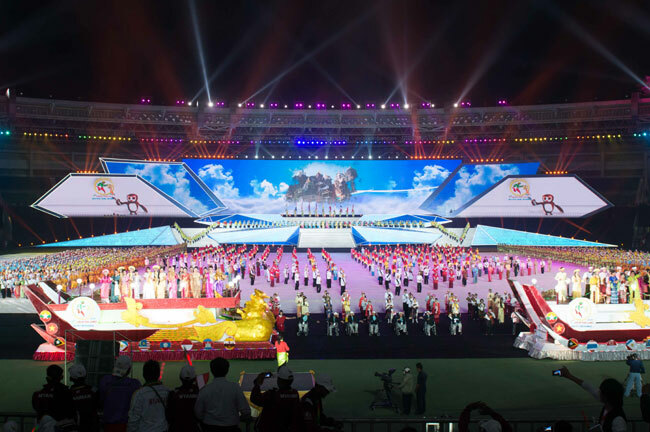 "The Vietnamese committee will take responsibility on making plans for the Games, " the report quoted Vuong Bich Thang, head of the National Sports Administration, as saying. "If the PM rejects it, we have to inform SEAGF immediately, and it will appoint another country to replace us." Thang said, adding that "hosting the Games is not only our right but also the responsibility of all ASEAN nations. It is Viet Nam's turn to take charge after having participated in many Games in different countries." He said organising the SEA Games will help Viet Nam improve its social infrastructure and develop sports.